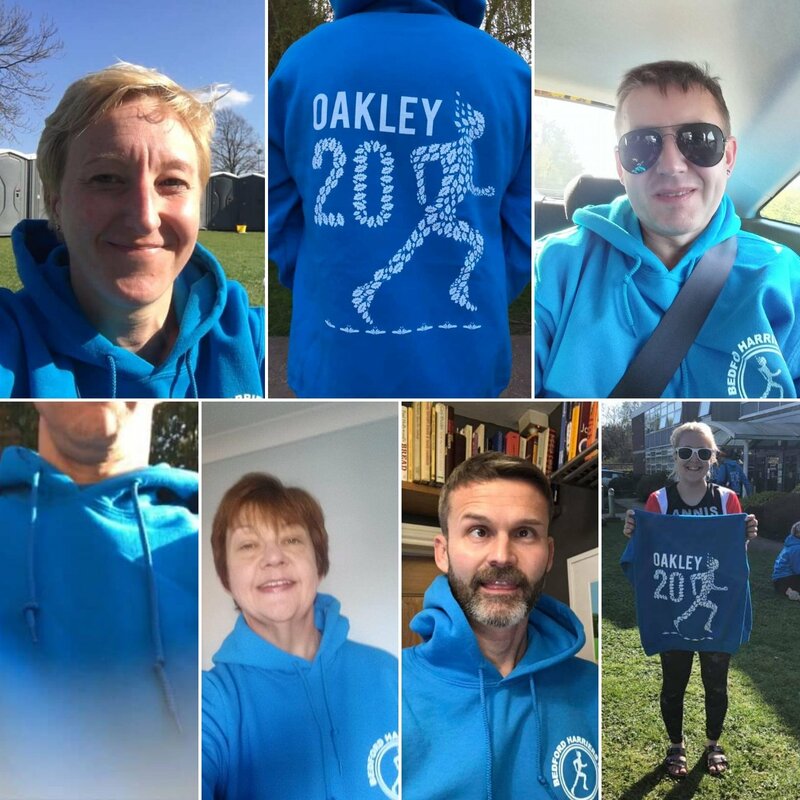 Leighton Fun Runners > Latest News > This is the week…we found out the colour of the Oakley hoodie! Another glorious week of club runs, with no wind. 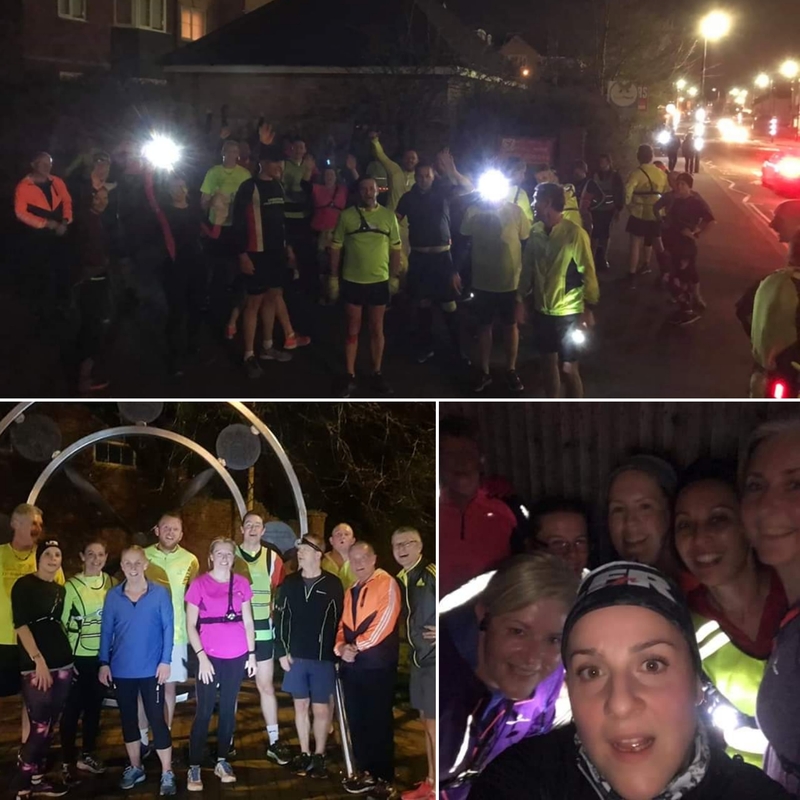 We had pace groups on Tuesday, Paul and his ladies not Fartlekking on Wednesday, Captain Dan putting the Improvers to the test on Thursday and Katharine and Jenny leading the social run on Friday. We’ve not seen any Strava artwork for a while – step it up run leaders! 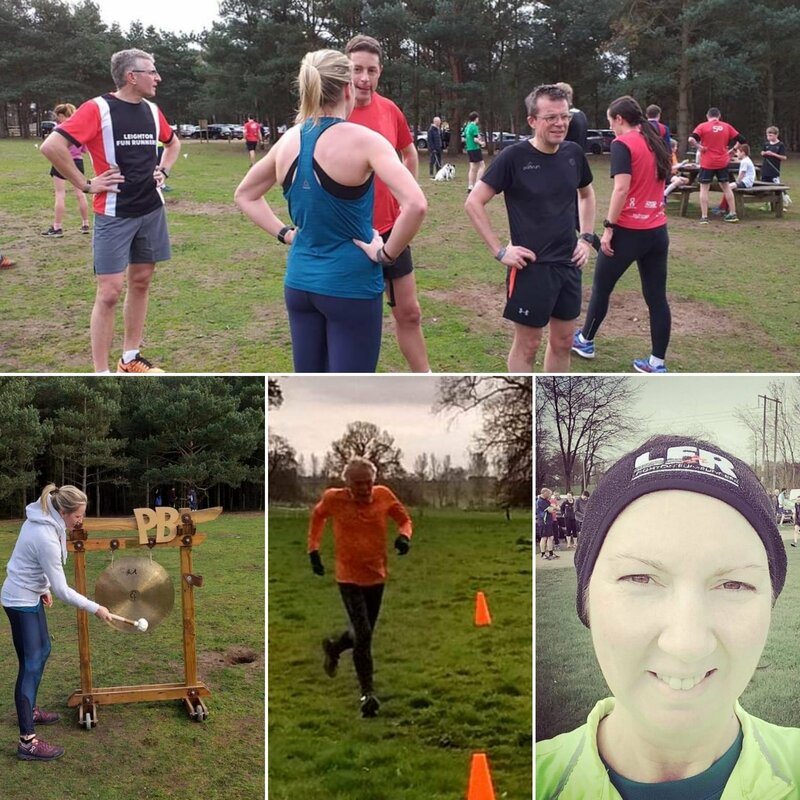 The weekend came as did parkrun day where we had LFRs at Arrow Valley, Linford Wood, Barrow, Houghton Hall, Aylesbury, Buckingham, Exmouth, Watermeadows, Dunstable Downs, Marston Vale, and of course Rushmere. At Rushmere we had some fantastic results and PBs galore! Andrew took his spot in 2nd place – equalling his PB. Jamie came in 4th, Kevin 7th, Ian 10th and Paul close behind in 11th. Ian and Paul also bagged themselves new PBs, as did Gavin and Richard. 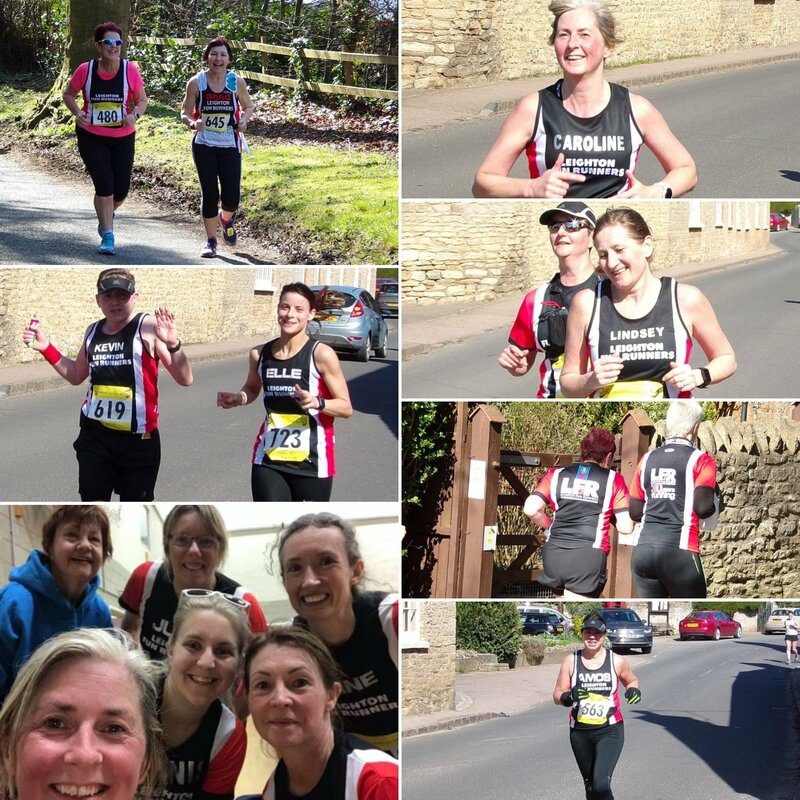 Flying the flag for the LFR ladies, Emily was 2nd lady and guess what…she also ran a PB! 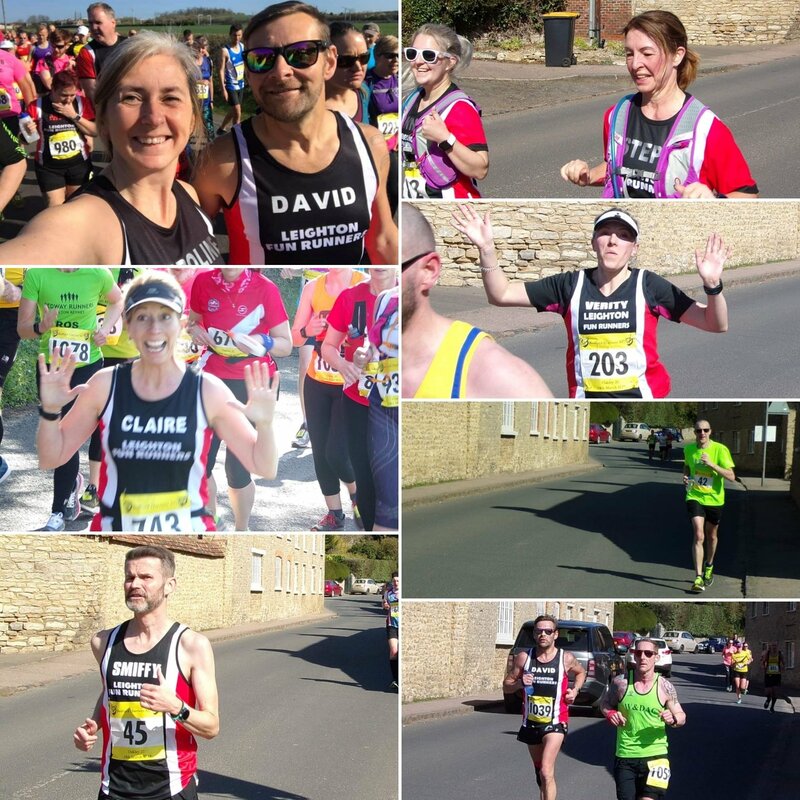 The half marathon runners were out and about on Sunday. LFR Dan was running a half marathon at Coventry. 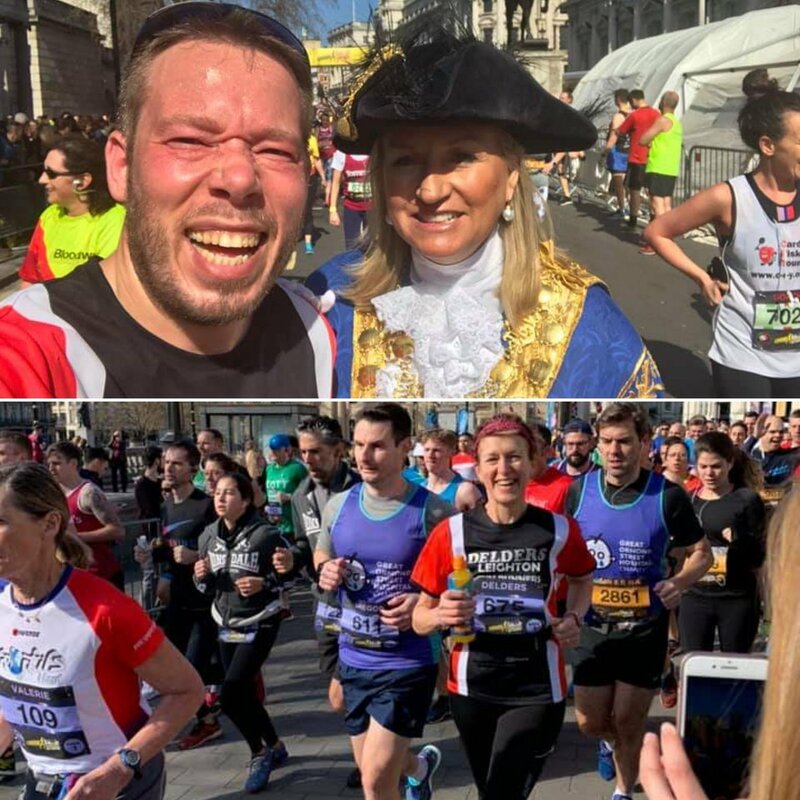 Following his Rushmere PB, Gavin then landed a half marathon PB at the London Landmarks Half Marathon! Also running at the LLHM was Adam and also Sarah (with Keith in full support/photographer mode). There were lots of training runs and rides as well over the weekend. Shout out to Janice who cycled her first ever century on the bike –that’s 100 miles! To put that into perspective, it’s the equivalent of running a marathon. Superb. 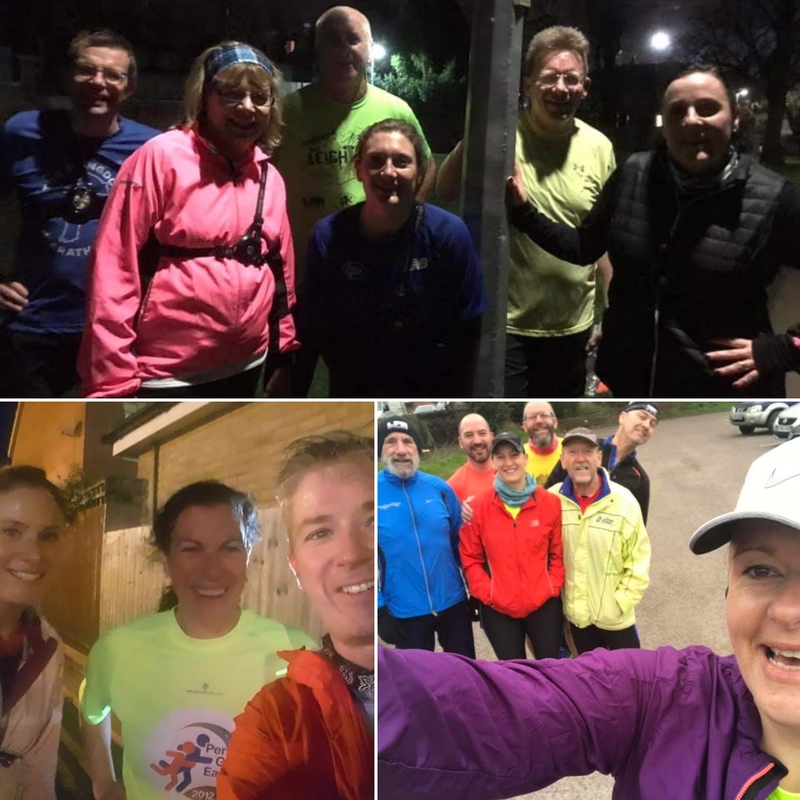 Andrew and Mark were flying the LFR flag at the final Gade Valley Training Run of 2019 – 20 Miles. Both had storming runs and right on track with their marathon training. Keep up the good work fellas! AND finally. The other 20 Miler of the weekend, the Bedford Harriers Oakley 20 event. An LFR favourite we had a gaggle of the team head to Bedford for a Sunny Sunday Run (a marked difference from last year’s event which was called off due to the snow!). 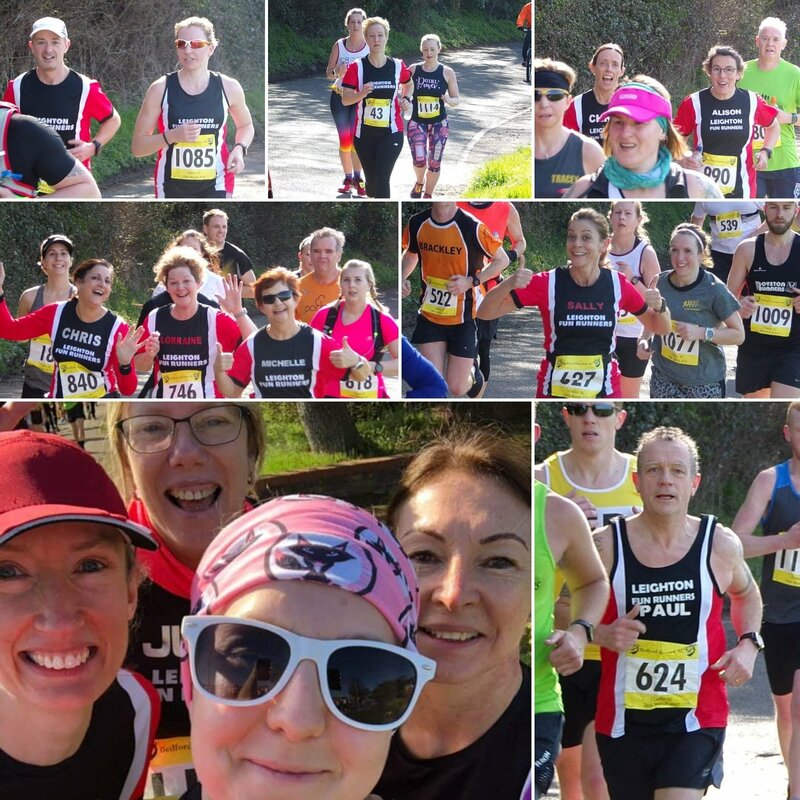 We had some fantastic results, excellent runs from everyone, all stepping it up in their marathon training. We also had some first time 20 milers and first time Oakley 20 runners. Everyone loved it! Superb running efforts from everyone. A big thank you also to the supporters at Oakley, JK and Karen were at the side of the road and Will was on hand to take plenty of photos as usual. Well done everyone on another great week of running. See you next week!